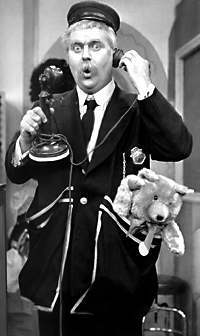 Yes.."Captain Kangaroo" did screen reruns "Lariat Sam" on his show during the 1960's. Just remembered, and for me this goes back 55 years, he used to be able to stop and start the opening theme music by hanging up the keys to the treasue house then lifting them. As soon as he put the keys down, the music would stop...if he lifted them again, the music would start. Don't forget Dancing Bear. Or Terrytoons' Tom Terrific with Manfred the Wonder Dog! 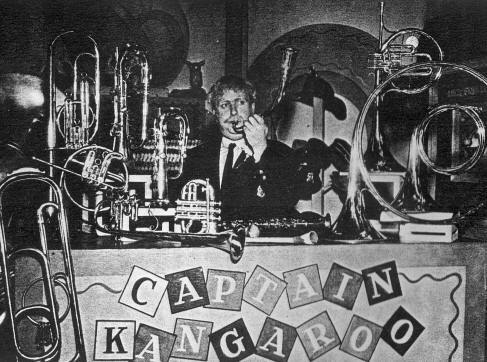 Remember how Captain Kangaroo used his duster to dust away the closing credits? Thank You Duff for strighting out that rumor for me. It has haunted me for years. Please keep up the good work in hear. I Love everything about it. According to snopes.com, the Keeshan/Zappa father/son rumor is false. Bunny rabbit and Mr. Moose. Remember how Bunny stole the carrots and Mr. Moose dropped ping pong balls on him every episode. I believe there was a certain word or phrase the captain would say to make the balls drop. Did you know Captain Kangaroo was once Clarabell the Clown on Howdy Doody Show. He never talked. Also I think I heard once that he is the father of Frank Zappa. Don't know for sure just heard a rumor. My favorite was Bunny Rabbit - cause I wore glasses, too.